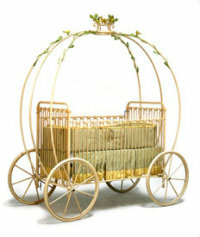 It’s never too early to get your child started on a life of luxury and pampered living, so why not buy a luxurious crib? Whether you’re more concerned with the aesthetic quality of the crib or the technology that reduces your stress, take a look below for some of the most expensive cribs and cots in the world. For a crib with as many bells and whistles as your favorite smartphone, look no further than the Intellicot. This high tech crib features automatic rocking, a mattress-raising system to reduce strain on your back, air circulation to keep your child cool, a soft blue nightlight and a video monitoring system so you always know your little one is safe and sound. 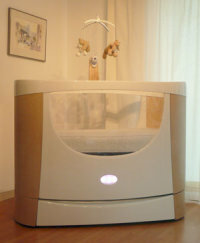 Unfortunately, Intellicot is still under development and current pricing is unavailable, but the crib was originally intended to sell for around £1,000. This custom crib / cot is handcrafted out of solid hardwood and hand painted in pink “garden” colors that will let everyone know that your baby is a perfect princess. 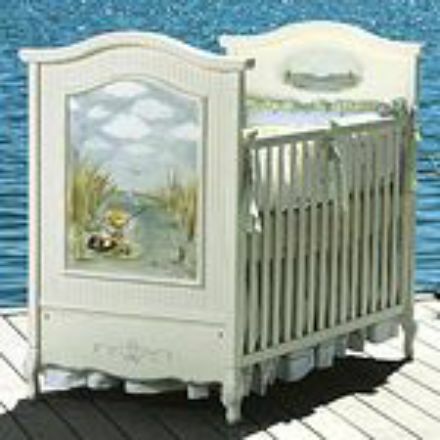 The mattress height is adjustable and the crib features a single dropside. 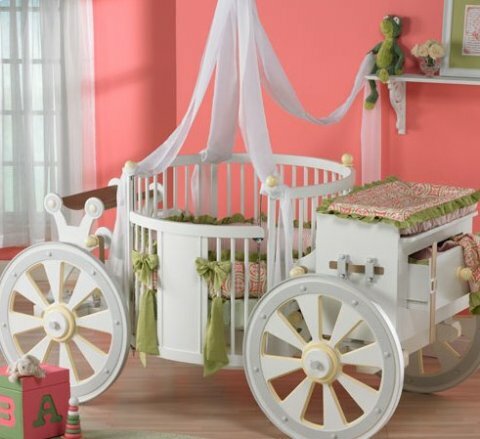 Inspired by the timeless fairy tale, this iron crib features large wheels and a crown decorated with leaves and birds for that classic pumpkin carriage look. 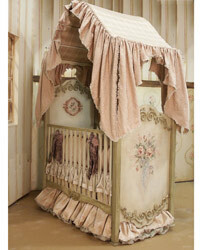 The Cinderella Carriage Cot / Crib is available in six colors, including white, antique steel and pink. Best of all, it probably won’t turn back into a pumpkin at midnight. Baby Mattresses Online don't sell any of these pieces of luxury furniture, just the mattresses that fit them. Whatever cot you choose for your baby, whether it cost £50 or £20K, don't forget that here at Baby Mattresses Online we can make the perfect mattress for your new baby. Cot / crib mattresses prices start from £20 for a foam mattress, right up to £500 for the top of the range with organic and natural fibres. Don't forget, we ship worldwide and we even make crazy sizes and shapes of baby mattresses, including the circular mattress pad for the Majestic Carriage Crib.